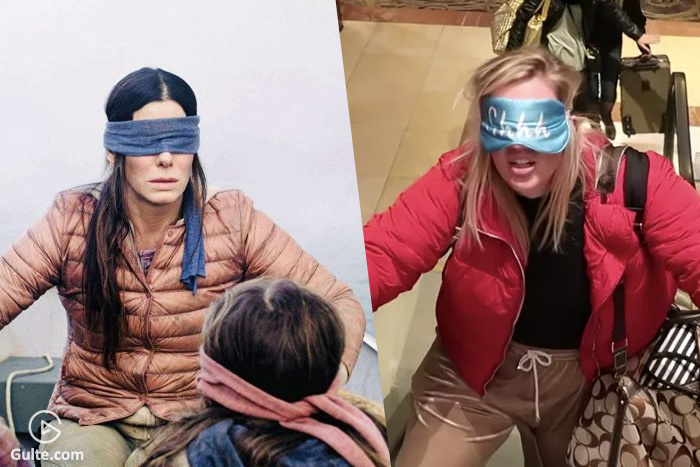 The Bird Box Challenge is based on Bird Box, which is a highly rated and viewed movie that came out on Netflix in December of 2018. In the movie starring Sandra Bullock, characters wear blindfolds to avoid seeing a mysterious force. The challenge is to blindfold yourself and try to perform every day tasks such as make a sandwich or walk to the mailbox. People post on social media videos of themselves doing the Bird Box challenge. One particularly dangerous challenge resulted in a Utah teen crashing her car while covering her eyes when driving on Layton Parkway. The Netflix official Twitter account even had to tweet out that people should not hurt themselves doing the challenge, but people did not listen and continued to do the challenge. “Personally, I think it could be very dangerous and you could even get hurt if you’re not in a safe environment,” Chai Chanthavong, 9th, said.